What was your life like before CrossFit Amoskeag? Life was good – CrossFit was challenging. I had learned of CrossFit by watching the Games on TV a few times but never ventured to a CrossFit gym. My son Tim and I ran into a local affiliate’s members at a restaurant near the 2013 Regionals in Canton MA. They invited us to their gym and my son completed the Murph Hero WOD and we were hooked. I spent each Saturday morning at their gym, and began doing workouts at home during the week. By November, I had convinced the owner to change the first daily workout to 6 AM so I could attend and for the next 5 months I progressed as anyone would. Unfortunately, the owner of this particular facility held a very specific view of what CrossFit “Was” and “Wasn’t” and following the 2014 Open, I was kindly asked not to return. I then spent the next 4 months building a home gym with all the basics needed to complete most CrossFit workouts. By July, I knew there was something missing and the workouts became more of a chore. 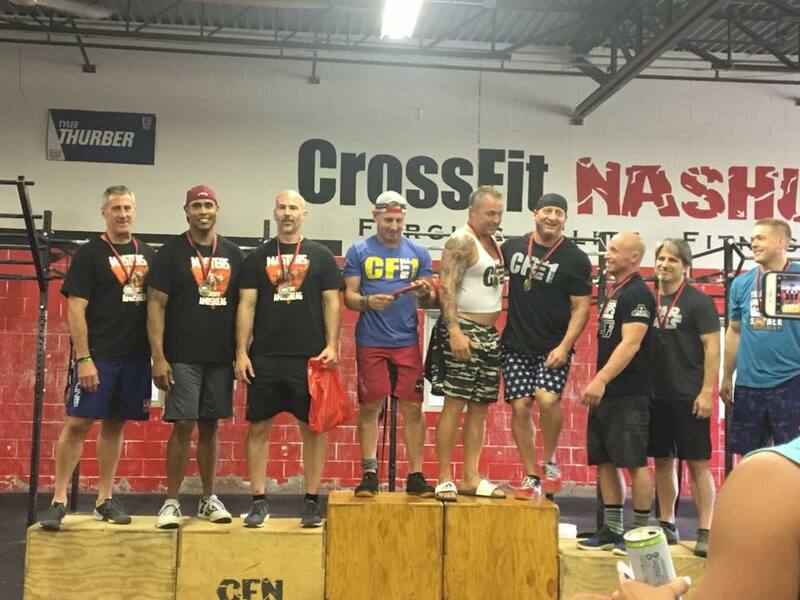 I began working out at CF Nashua on Saturdays and learned the importance of fellow athletes and community. Since CFN wasn’t convenient for morning workouts and my commute to Boston, I began searching for other local CrossFit gym’s. In early August I discovered CrossFit Amoskeag and followed their progress towards opening. After being open a few weeks I stopped by for a meet/greet with Bob and then a workout with Brad the following morning. After the workout, and understanding the gym’s philosophy, I signed up and began attending regular workouts and have been for the past 3 years. Why were you apprehensive about joining? Prior to joining CrossFit Amoskeag, I had attended workouts at 4 area CrossFit Gyms. I discovered that most area Affiliates are single proprietor owners and each had a different vision of what they wanted their gyms to be and were not interested in other views. Fortunately, and unfortunately, I see things differently than most and like to challenge and influence different points of view. I learned at CrossFit Amoskeag, there were multiple owners and a variety of Coach’s throughout the week which guaranteed that a single point of view would not be the norm. I have made a lot of friends; I have learned that if you give a little, you’ll get a lot. With the assistance of others: raised over $5k for NH Make A Wish; Co-Founded, developed CFA Masters which conducts weekly Saturday workouts and events focused on Masters aged athletes of all ages and abilities; Earned my CrossFit L1 Certification; Learned how to get out of an “over trained state”; significantly changed my diet to an increased level of plant based foods; Learned how Facebook works, sorta; And physically, I can now Squat 300, Deadlift 400 and recently Snatched 180, not bad for a guy well past middle – age. Life is still good and so is my CrossFit world. I have created consistency with my physical health by incorporating much of the CrossFit philosophy. I have achieved my main goal of increasing my overall strength but feel that my personal health and fitness are much better than I could have expected. And as important, through the open-mindedness of the ownership group and their coach’s we’ve been able to enhance the community of CFA members, even if just a little bit. It is a great feeling to have the trust and faith of the gym members to try something new and different that impacts their lives and maybe have a little fun. 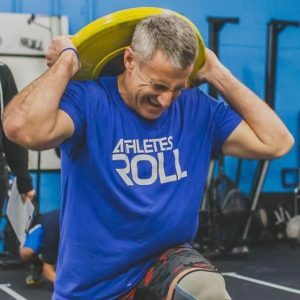 By joining CrossFit Amoskeag and immersing myself in it, I have been able to learn how to make significant changes to my own personal self, and then share those learnings with others – which is why this may be one of the best decisions I’ve ever made.